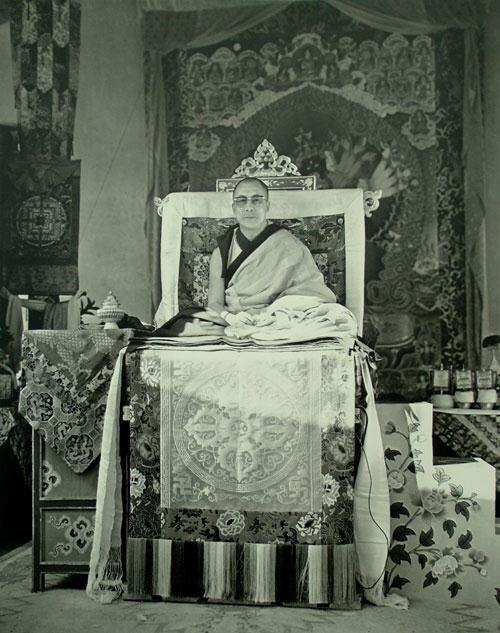 You are currently browsing the archives for the Dalai Lama 37 Practices Bodhis Kalach Bodhgaya 74 EN category. His Holiness the Dalai Lama: The practice of Dharma is that which enables us to be true, faithful, honest and humble, to help and respect others, to forget oneself for others. His Holiness the Dalai Lama: We should therefore live on this noble path, help others, spread kindness and peace. 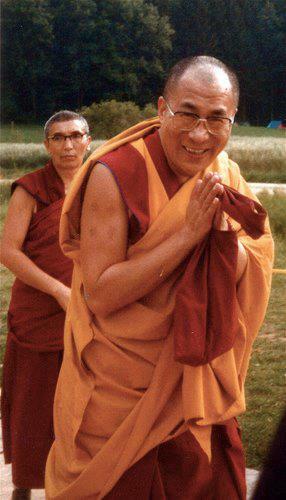 2 – The Thirty-Seven Practices of the Bodhisattva by His Holiness the Dalai Lama, Bodhgaya 1974. 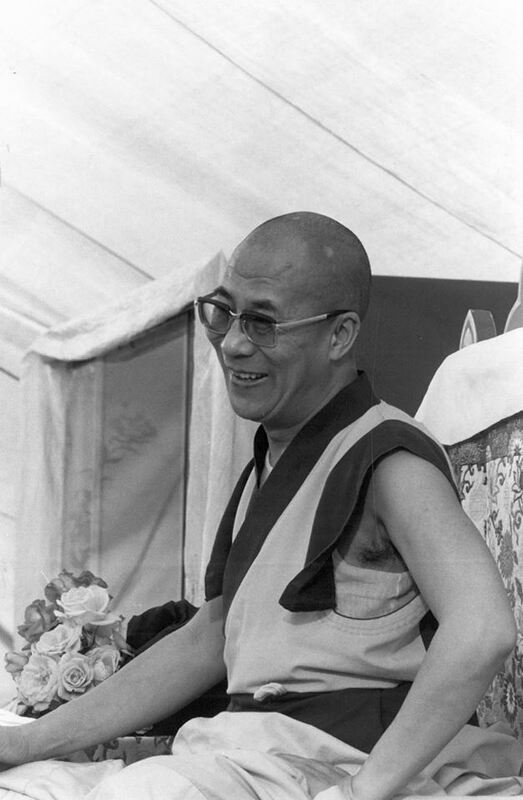 3 – The Thirty-Seven Practices of the Bodhisattva by His Holiness the Dalai Lama, Bodhgaya 1974. His Holiness the Dalai Lama: Stealing is another unskillful deed because it harms the possessions of others, so it also causes them suffering and should be avoided. 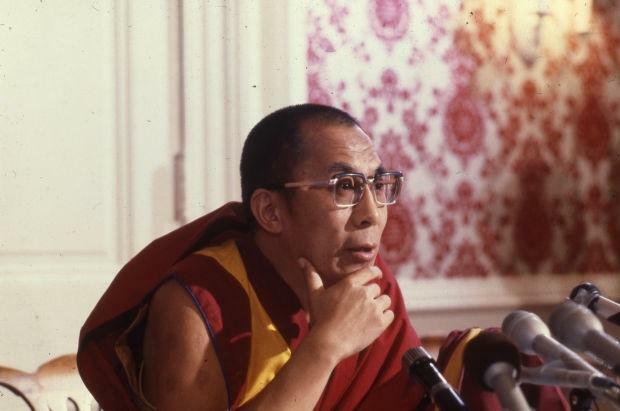 4 – The Thirty-Seven Practices of the Bodhisattvaby His Holiness the Dalai Lama, Bodhgaya 1974. His Holiness the Dalai Lama: It becomes clear to us that it is indispensable to take responsibilities for other sentient beings, and we must therefore reach buddhahood for their benefit and in order to acquire a full ability to help them effortlessly and spontaneously. 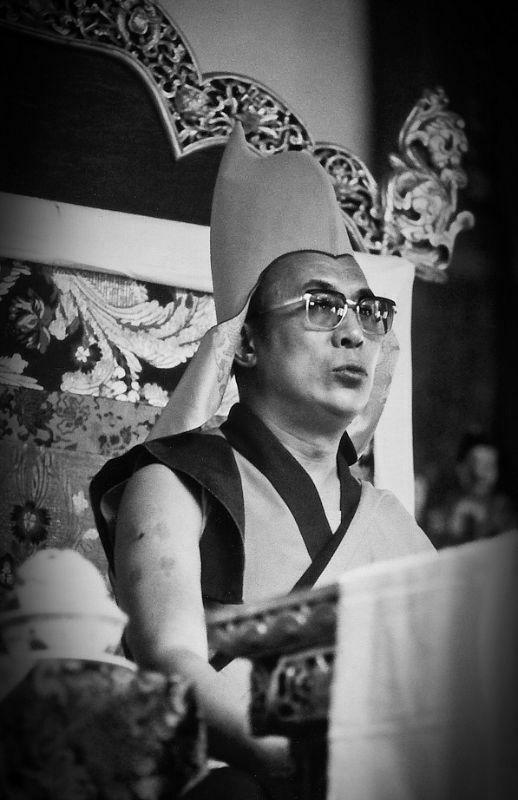 5 – The Thirty-Seven Practices of the Bodhisattvaby His Holiness the Dalai Lama, Bodhgaya 1974. His Holiness the Dalai Lama: The merit we accumulate from these practices should then not be dedicated to our own well-being, freedom from samsara, existence in higher realms and so on, but solely to the attainment of buddhahood in order to relieve the suffering of others. We must also have the wisdom to see the void of the existence of the triad. This constitutes the 37th practice.